There is a quiet epidemic in the restaurant industry that very few patrons are aware of – the lack of hireable line cooks. With a new generation being raised on The Food Network everyone entering the restaurant industry wants to be a celebrity chef, but nobody wants to start from the bottom as a line cook. These shows are not an accurate representation of how much work it takes to get to the top of the restaurant industry as a chef, and especially not the hard work and luck it takes to become a celebrity chef. These shows are creating a divide between the expectations of those entering the industry and the realities of working in a kitchen. 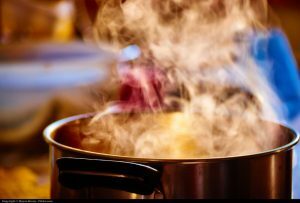 With the uptick in the economy, the number of new restaurants is increasing nationwide but the number of cooks being produced by culinary schools isn’t keeping up with the current demand creating a shortage of employable line cooks that restaurant owners are feeling in their kitchens. With the abundance of jobs, new cooks simply leave looking for better opportunities. Chefs are saying that it is not unusual for a line cook to stay for only a few months before leaving again. Those left behind are the ones feeling the pinch of an understaffed kitchen. 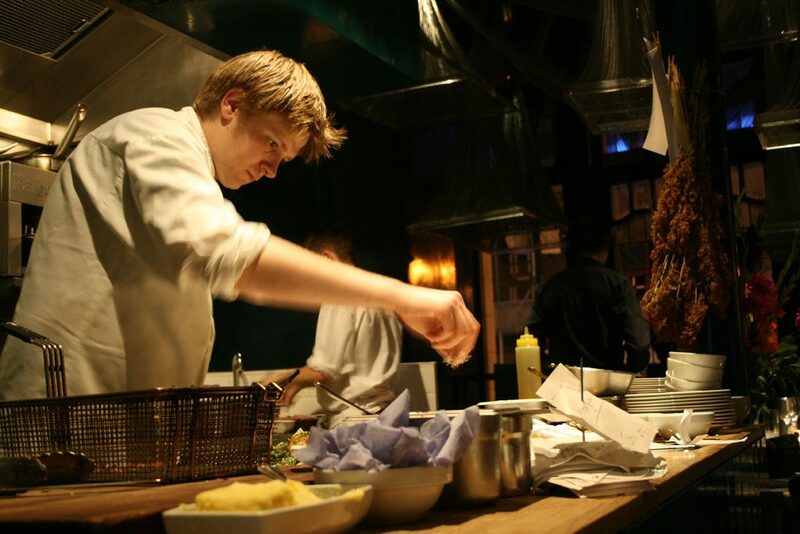 Many cities are experiencing the shortage of cooks. From New York City to San Francisco, ads are being placed everyday looking for skilled cooks. Part of the issue is the hours. Cooks must be willing to work weekends, nights, and holidays. All times that would normally be spent with family or friends. In the past working grueling hours was the only option for an aspiring chef. Until recently. New options such as food trucks, pop up restaurants (temporary eateries that appear during festivals) and tech companies with cafeterias, can offer better hours, higher pay, and better benefits. Having the career you love and still getting to spend time with loved ones is the dream for any person. Positions offering those opportunities are luring more and more cooks away from the restaurant industry leaving a deficit. Location can be an issue for many restaurants as well. City life is expensive and the average cook in the United States makes $10-$12 an hour according to the Bureau of Labor Statistics, with those working in large cities being on the higher end of the national average. With the average rent in a city like New York being around $1,200 a month, living in the city just isn’t feasible for these line cooks on the wages they are currently receiving. More and more are migrating to smaller towns where there is still a strong need but the cost of living is more affordable. Even the commute to work being 15 minutes closer can be a determining factor when deciding upon employment. This movement is creating the deficit that city restaurants are currently trying to deal with. In the face of the shortage, what can a restaurant do to lure skilled line cooks back into its kitchens? The obvious answer for some businesses is to start offering higher starting rates and signing bonuses. A lot of graduates fresh from culinary school are facing large student loans they need to pay off. The tuition, supplies, and room and board for the Culinary Institute of America tops $31,000 a year. It can be a challenge to pay for student loans before the cost of living is even factored into the equation. An offer of higher pay with a bonus can be very appealing when those bills start rolling in. “We now pay our staff probably $3 to $5 an hour more than we did when we first opened [in 2012],” Chef/owner Will Gilson from Puritan & Company in Massachusetts told Fortune this year. The signing bonuses don’t always need to be monetary though. Paying for required shoes, uniforms, or other items can be a great way to entice a new employee. Anything an aspiring chef would need or would want career wise, can be used as a bargaining tool. Other restaurants are going right to the source. Offering programs where they will pay for part of an employee’s student loans each month after a probationary period. Some groups, such as Boston Urban Hospitality which operates three restaurants, are offering up to $1,000 a month to help with student loans after a three month probationary period. Without the strain of student loans the smaller wages can become much more livable. With housing being an issue for many trying to work in cities, some businesses have chosen to offer assistance in finding affordable housing. Moving for a job becomes an easier decision when you know the rent will be reasonably priced and possibly close to work. The added stress of finding a place to live is taken away and allows the employee to focus on their job. Another route for a restaurant is to offer additional training to cooks who agree to work for them. Investing in programs to teach the cooks new and creative ways of preparing food is a draw for many looking to expand upon the knowledge they already have. A way to continue education and a sense of working towards something greater is a goal for many millennials, and cooks are no exception. It also helps to keep them focused on the kitchen and keeps their eyes from wandering towards other opportunities. If none of those work for you, try offering to critique students at a local culinary school. It is a great way to network with current students. While judging if you find a student you think would work well in your kitchens you can offer them a position before they have done too much searching elsewhere. Offering them an externship is also a viable alternative. Starting a cook in your own kitchen can be an easier way to develop the talent of the candidate to the needs of your kitchen. With a 10% growth rate the Bureau of Labor and Statistics predicts an additional 175,000 jobs for cooks in the next decade. As long as shows such as Iron Chef and Cutthroat Kitchen have prevalence, the new generation of cooks is going to have higher expectations from their employers than the generation before. Unless some changes are made in the industry to the long hours and low wages, the problem is going to persist for years to come. Now is the time for restaurant owners to start taking a look at the way they are recruiting their new cooks. Don’t Hate, “DONATE” with a Plan! Tips for Charitable Fundraising at Your Restaurant! It’s that time of year again…back to school and back to a more rigid routine. What does this mean for restaurant owners? Likely, request after request for donations to support schools, groups, and organizations as they begin their campaigns to raise funds. Unfortunately, you can’t support them all. If you did, you may no longer be in business. But for the ones that you do support, why not establish fundraising opportunities that you offer and master so that the experience is easier for everyone? Check out this list of ideas that you can use for your restaurant. If these ideas aren’t for you, maybe they can at least get your mind rolling with some other fundraising ideas that your restaurant can offer. Donate coupons or gift cards to teachers at your local schools. The teachers can then present these coupons or cards to students who have good attendance, show academic improvement, and good citizenship in school. You can do this monthly, every other month, or several times a year. 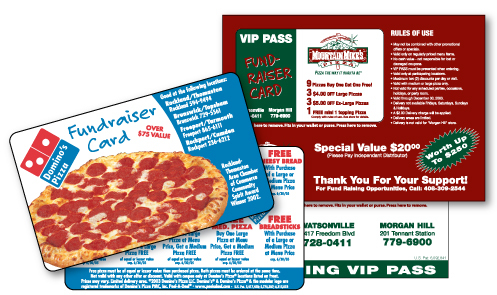 Sell group fundraising cards like Peel-A-Deal to organizations at a discount. You get the money up front and the organization does the rest. The only thing you need to do is order the cards, decide what coupon offers will be included on the cards and how much you are going to charge the organization per card. It’s common that the organization purchases the card for half of what you charge them, typically $5 for a $10 card. Host nights where a date is set with the organization and a certain percentage of the sales that evening are donated to their cause. You can even narrow it down to dining visits within a specific time frame as well as to a specific menu item. But, be careful not to narrow it down too much or the amount of funds you raise will be limited. Hoss’s Family Steak & Sea House is a restaurant who offers this type of program with their dine-in fundraisers. Offer a t-shirt fundraiser where a certain percentage of each t-shirt sold by the organization goes to their cause. The t-shirt, sporting both your restaurant logo and the organization logo, can be custom made for purchase with an agreed upon design. Every time that shirt is worn, it advertises your restaurant. You can even accomplish this idea using trendy bracelets or hats. Offer to cater an organization’s charitable event instead of making a monetary donation. This will allow attendees of the event to get a taste of your food while you offer your support. You will not only help the organization by saving them time and money in food preparation, but you’ll gain some new customers along the way. If your restaurant is in a high traffic location, offer space in your parking lot for a car wash (if accessible), a car trunk garage sale, or a flea market where funds raised go toward the group involved. You will likely get visitors strolling in to your restaurant for a bite to eat. There are so many benefits to fundraising within your community, benefits that will likely outweigh the cost to you. First and foremost, contributing provides you with a sense of pride knowing that you offered support to your community. It just feels good to give and nothing can beat that feeling. Tax deductions are available for charitable contributions to nonprofit organizations. There are specific guidelines with these tax deductions so make sure that you have documentation of each transaction, like a check or receipt. These items are necessary for your accountant. Sponsoring or donating gets your name out in the community. If your logo is on a group fundraising card or t-shirt, it will be seen and recognized. People are likely to support your business knowing that you are invested in the well-being of the community. It’s a great marketing tool! Let your customers know that you support the community on your website and on social media platforms. Posts, pictures, and hash tags are all great ways to get noticed. Have a clear set of rules about giving to make it easier for you to identify who you will support. For example, maybe you’d like to only offer support to schools within your local community and groups directly related to that school. Therefore, if someone comes to you looking for donations from another school, you can graciously decline based on those clear rules. Create a budget for donations. Once you hit that limit, you’ve met your quota and that’s that. Create a policy where donation requests need to be in writing and at least one month before the event. Or, look into technology that helps with donation management like the Automated Item Request System or AIRS. This type of system makes the process so much faster and easier for you. Don’t beat around the bush. If you can’t or don’t want to donate, give a direct no. Leading people to believe that you are interested in helping will only make them want it more. If you are direct and give a no by following the above rules, you will have more success with repeat solicitors. There are no if’s, and’s, or but’s about it; funds and donations are always going to be needed. Whether you choose to support them or not, schools, clubs, and organizations will be strolling in to ask for your financial support. With a well thought out plan and established limits on the opportunities that you offer, your fundraising process can be extremely manageable and benefit everyone in the process. Posted on Sep 9, 2015 in Helpful Tips for Bar and Restaurant Owners, Restaurant Management • Comments Off on Don’t Hate, “DONATE” with a Plan! Tips for Charitable Fundraising at Your Restaurant!